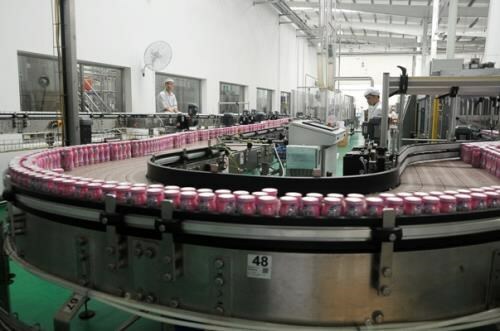 Hanoi (VNA) – State-owned enterprises divested more than 3.7 trillion VND (163.4 million USD) in book value from investment in non-core operations during the first 8 months of 2017, according to the Ministry of Finance’s Corporate Finance Department. They earned over 15.8 trillion VND (695.3 million USD) for the State coffer from sale of their investment. The State Capital Investment Corporation (SCIC) sold nearly 1.4 trillion VND (61.4 million USD) worth of stakes in 21 SOEs, earning over 12.2 trillion VND (538.5 million USD). The amount included 5.4 percent of its total shares in Vietnam Dairy Products JSC (Vinamilk) that were sold for more than 11.3 trillion VND (496.6 million USD). Seven SOEs have had their equitisation plans approved in August. So far, equitisation plans of 33 SOEs have been approved in the first eight months of this year, with total real state capital in those enterprises worth approximately 20.9 trillion VND (918.7 million USD).